DPS Probate Software saves time and automates the processes in a probate case. This includes producing all the IHT forms, schedules of assets and estate accounts with minimal fuss. There is a huge number of time consuming and repetitive work involved in a probate case. Our Probate Software cuts this out and automates it. It has all the standard benefits of a DPS application such as quick, automated efficient production of letters, forms and documents. Diarisation of tasks, monitoring work completed and keeping all case contacts updated. Minimal data entry for maximum return. Never enter the same data twice, never enter data that can be worked out! This is all standard for DPS applications but the probate module go’s further by also producing the estate accounts in MS Excel™ allowing further editing if needed. Our probate software is fully loaded with a full set of standard precedents including documents, forms and letters. These are then all automatically completed for you with merged information fully completed. The supplied precedents include letters to all contacts. Utility & life assurance companies, banks, building societies and stock brokers. Funeral directors, accountants, executors or trustees, local authorities, employers and any other party involved. Enter the data once and DPS Probate produces all the required estate accounts & IHT forms in PDF and MS Excel™ as needed. So you get complete schedules of Assets, Liabilities and Gifts. It then picks the IHT forms you need according to the information you entered and uses the information to complete them for you as well! DOWNLOAD THE COMPLETE INFORMATION SHEET HERE. Although, DPS Probate comes complete with a standard precedent library, it is extremely flexible. You change all our templates or add your own. It really is as easy as editing a Word File. This allows you to keep complete control and adapt the system as and when necessary, to suit your needs. The workflows mean you can easily meet quality standards and such as ISO 9002 or Lexcel. In fact you can be as workflow system driven or fee earner driven as you please. These days solicitors communicate by email and having their case management inside the email system of their choice is ideal. That’s why DPS probate sits right inside Outlook(tm). This means users don’t have to load case outlook then case management. They load Outlook and the probate case management is right there ready to use. Any email done in Outlook is automatically captured to the case, document managed, costed and seriously well managed! Best thing is to have a look. 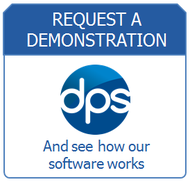 Contact us today to arrange a NO-OBLIGATION demonstration.